CARLSBAD, CA – Logic would make you believe that complicating a product cannot possibly make it simpler and more useful, but that’s exactly what the folks at TaylorMade have accomplished with their latest and perhaps greatest creation – the R9 Driver. TaylorMade’s been in the forefront of golf club technology for years, first with pioneering different sized driver heads to suit different types of players, then developing movable-weight technology and making it simple enough that amateur golfers could design their own specifications in their drivers – and now, making a driver so complete in design and manufacturing that it’s literally twenty-four drivers in one. That’s right – you can set the R9 driver 24 different ways. Talk about a tinkerer’s dream. A ruling by the USGA in late 2007 paved the way not only for the R9, but a whole host of new adjustable drivers. The difference with TaylorMade’s version is the degree to which it can be changed, which is several times higher than its competition. 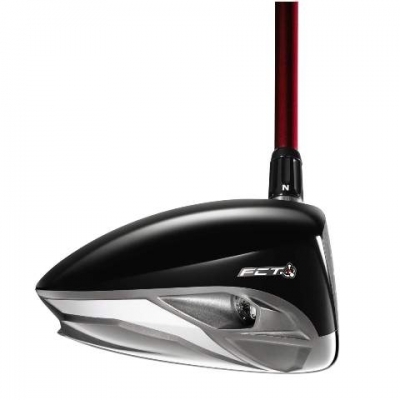 The R9’s amazing versatility is made possible through the new Flight Control Technology (FCT) system, which essentially allows you to adjust the club’s face angle, loft and lie angles to your desired settings. Add in the movable weight system that’s been a part of TaylorMade’s high-end drivers for several years, and you’ve got a driver that’s as alterable as any club you’ve ever seen – 24 ways in all. And you don’t need a phone booth to change this club into Superman – it only takes a few turns of the special wrench that comes with the R9 (and yes, instructions are provided). As mentioned above, TaylorMade’s movable weight system has allowed players some ability to control their ball flight by concentrating the club head’s weight in certain spots on the head – but if you wanted any other adjustments, you literally had to ‘bend’ the head into position – and unless you’re a professional, it’s probably not advisable to perform this kind of operation. FCT now gives you the ability to do it without jeopardizing your investment in the club, and eliminates the bother (and possible expense) of bringing the club to a pro to alter it. Because of the R9’s versatility, there’s a 75-yard range of distance that you can work with – literally from one golf horizon to the other. It won’t fix the flaws in your swing, but if you’ve got a prevailing tendency to go one way or the other, the R9 may allow you to take advantage of (or correct) it. I speak from experience that adjusting the R9 requires a good deal more thought than any other golf club I’ve ever owned, but it won’t take a degree from a technical college to fix the settings – or a diploma from MIT to understand them. I don’t feel comfortable with a lot of household ‘do it yourself’ projects, but the R9 doesn’t scare me at all. The R9’s head size is 420cc, a mere 40cc less than the maximum allowed, but even here, size can be deceiving. With all the crazy shapes showing up in drivers these days, Olsavsky said the entire industry is doing some soul searching on how to classify volume. To make a long story short, super-sized heads are here to stay, but there’ll also be a level that’s slightly smaller – and put the R9 in this category. Sure enough – the R9 still looks plenty big, but the ‘smaller’ size is also due to other factors in the club, such as a hosel system (FCT) that adds weight, and the movable weights, which also adds some weight. Those factors contribute to the need to reduce a fraction of the head volume. Olsavsky said TaylorMade’s Tour staff also preferred a smaller head – and he believes if other companies’ staffs had a choice, they’d opt for a more compact head as well. In addition to the R9’s built in flexibility for players who purchase it, the club also has one other major advantage: it’s easier to fit and easier to stock for retailers. It used to be that golf shops would stock only so many demo clubs in various lofts and shaft flexes – but now with the greater ability to adjust the R9, fitting can be accomplished with fewer stock units. Fitting will also end up being more precise. 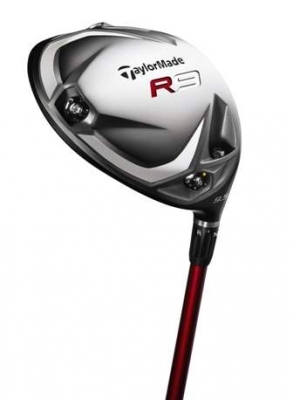 As far as shafts are concerned, TaylorMade’s got it down for the R9. “Because the head of the R9 can do so much, we suggest that people start with our standard shafts – and then adjust the settings to get what you want, both in the setting of the flight control system and the setting of the weights,” Olsavsky instructed. “We know you’ve got to have both pieces right to get proper fitting and get optimized driver performance – but we also know, in reality, our testing has shown most people will gravitate towards similar specs in shafts. And that’s been our understanding through years of experience on Tour and in the market,” Olsavsky added. 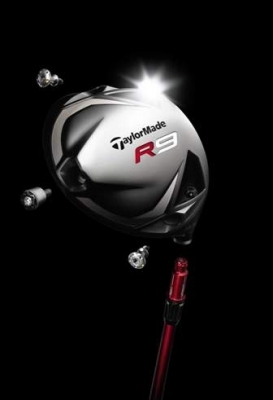 The years of experience helped TaylorMade get the R9 ready for the market after the USGA’s announcement, a manufacturing process that’s been honed and has allowed the company to produce a dizzying amount of new products in recent years. The concept for the R9 was somewhat ready when the go-ahead was given to submit designs to the USGA – and then the manufacturing process takes 5-6 months before there’s a product ready to ship. 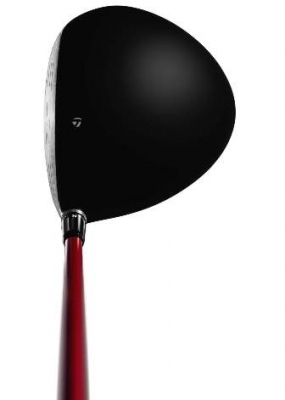 It’s allowed TaylorMade to stay on top in driver sales, and on Tour. For our purposes, we tried the R9 in many different configurations, though we didn’t try all 24 combinations. We were primarily looking to see if the club does what it says it does, which is provide the ability to adjust it to your own personal preferences. In this sense, the R9 passed with flying colors. 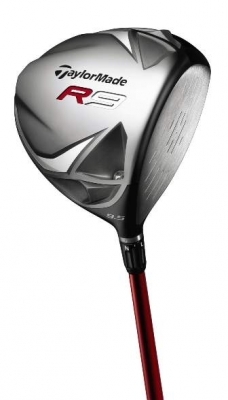 If you’re the type of player who likes a certain look in a golf club at address, the R9 is definitely your product. It took a little time and study to examine the different components that needed adjustment – and with some trial and error, found the system very easy to use. There’s no doubt you will have to spend a considerable amount of time on the practice tee to try out all the settings – but time is relative when the ultimate goal is to finally ‘discover’ a driver that’s right for you. It seems clear that the R9’s benefits would best be utilized by better players who can work with different ball flights and trajectories – consistency will allow this group to see exactly what the club does. But for those of us in the long-hitting mid-handicap group, it also proved useful. And interesting. Though we can’t scientifically verify that the R9 gives you 75-yards from side-to-side to work with, there’s no doubt that the club contains several different flight ‘options’ in one driver. Tinker with it, and you will see a difference. 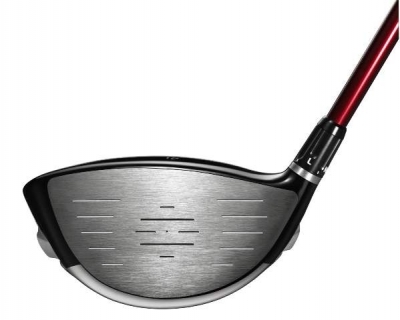 As Olsavsky indicated, the R9 is for a thinking-type player who is willing to put in the time to one, see what it can do, and two, work on swing mechanics to take advantage of the benefits that the club offers. If you’re that type of player, it’s worth spending some time with the R9. As always, consult with your club professional for his recommendations on the best golf equipment for you. The R9 didn’t become the number one driver on the PGA Tour for nothing – and it’ll give you 24 different chances to love it. If only everything in life could be so flexible.